Is it Time for Your Next Oil Change? Most vehicle owners know that routine maintenance is essential. By investing a little bit in the continuous upkeep of your car, you can keep it performing at peak condition while also extending the lifespan of your vehicle. Regular maintenance can help prevent major problems from arising or from spiraling out of control. All told, routine maintenance is a smart investment, and one of the smartest forms of routine maintenance is the regular oil change. 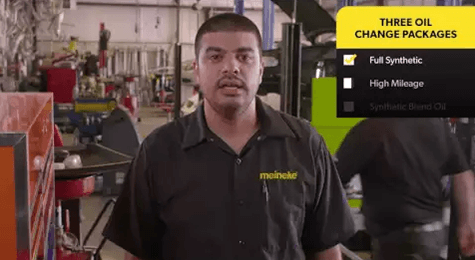 Getting replacement oil and replacement oil filters from Meineke #104 in Charlotte are things every auto owner should do every few thousand miles. How Does Engine Oil Work? In order to understand why oil changes are so important, it is first necessary to understand what engine oil actually does. It plays a couple of key roles, one of which is transferring heat away from the engine. This prevents the engine from growing too hot while it’s in use. Additionally, engine oil acts as a kind of car lube, keeping the engine components from rubbing against one another and causing too much friction. In short, engine oil keeps your engine running smoothly while extending its lifespan and safeguarding you against everyday engine wear and tear caused by driving in the streets of . Visit located on for routine oil filter maintenance. A common question about oil changes is the question of how often they need to be performed. The short answer is that it just depends. In the past, complete oil and filter changes were needed quite regularly. Today, technology has advanced enough that oil changes are needed much less frequently. With that said, the specific interval at which you should have your oil changed can vary depending on the type of vehicle you drive. Consulting the owner’s manual is a good place to begin, though as a rule of thumb, an interval of 7,500 miles or so is probably ideal. 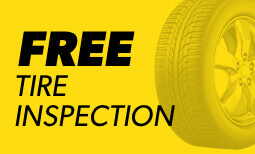 You can contact us at Meineke #104 in Charlotte NC for a more precise number. But What if You Miss an Oil Change? The consequences of not changing your oil are major. First, the engine will overheat and the pieces can become warped or melted. Without the right car lube, your engine pieces will also cause corrosive friction. Sooner or later, your vehicle will simply stop working and you will be faced with the expensive prospect of engine replacement. Investing in routine auto maintenance in the form of regular oil changes is obviously a smarter move. To learn more, come see us at Meineke #104 Charlotte NC today! A common question is how much an oil change costs. The short answer is that getting an oil change costs just a few dollars and is ultimately something to view as an investment. Regular oil changes help prevent you from having to spend much, much more money on a new engine or some other pricey replacement down the road. 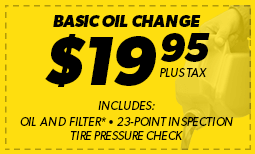 You can always check our oil change coupons page to learn how you can save money the next time you get your oil changed at Meineke #104 in Charlotte, NC.